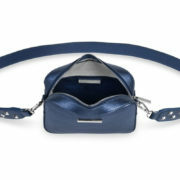 New for this season is the must-have Luna Loulou metallic bag. 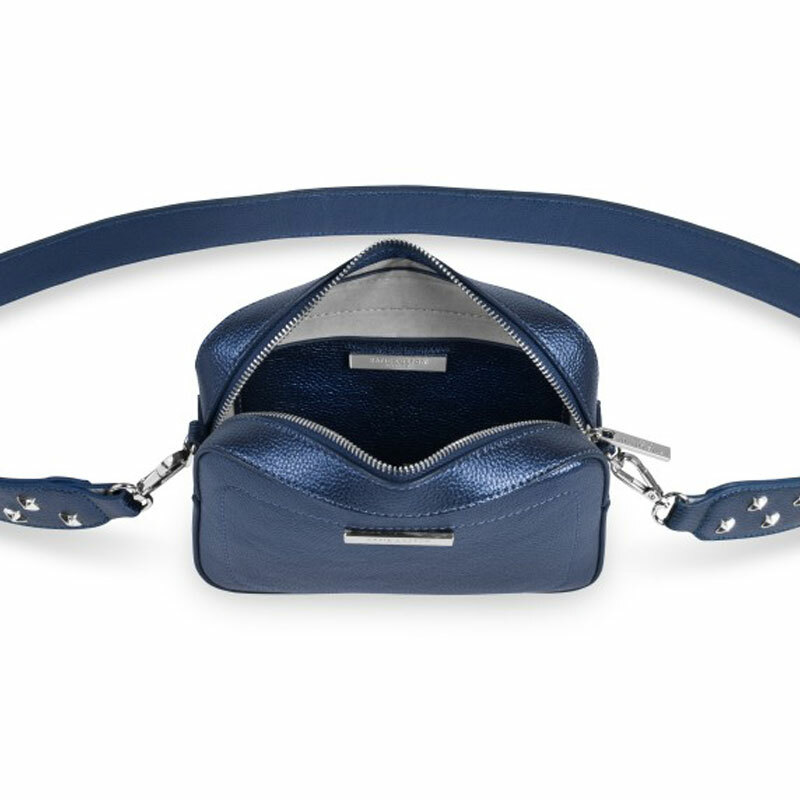 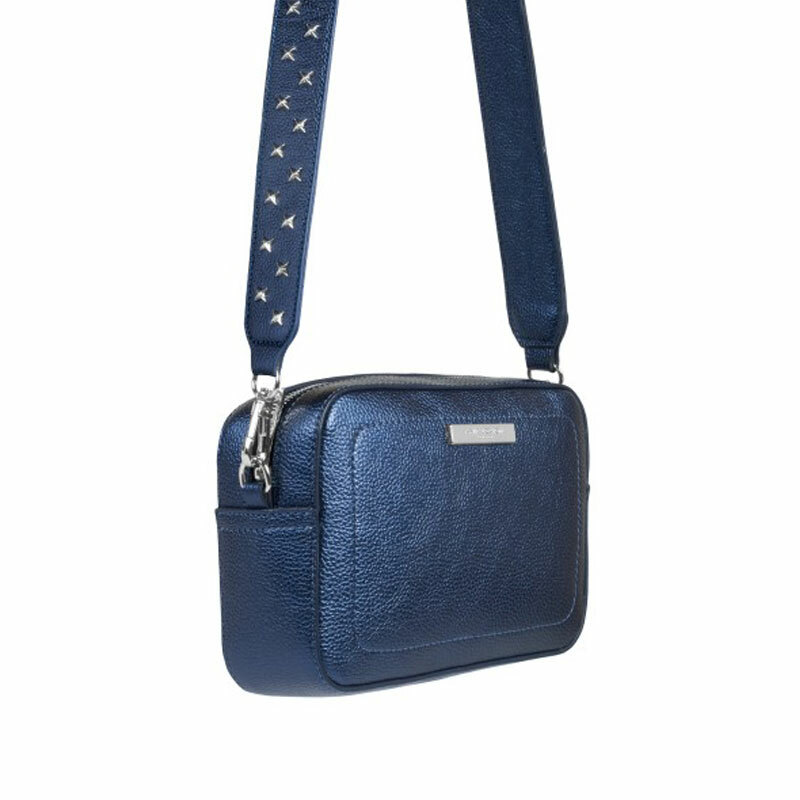 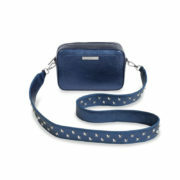 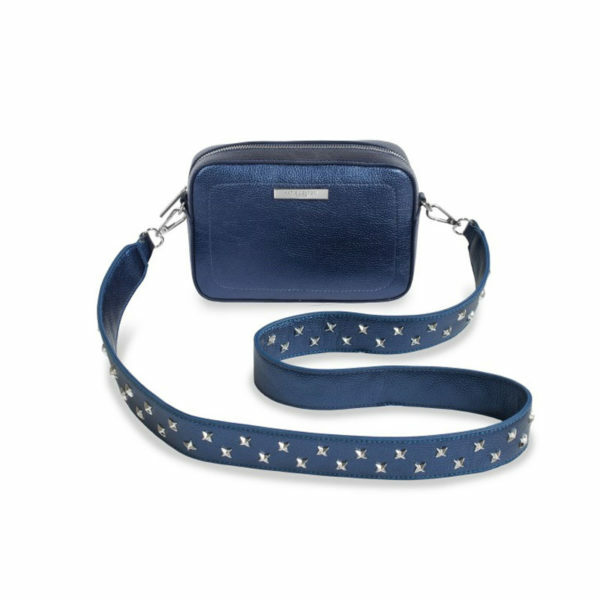 This metallic cobalt blue crossbody features a detachable statement studded strap. 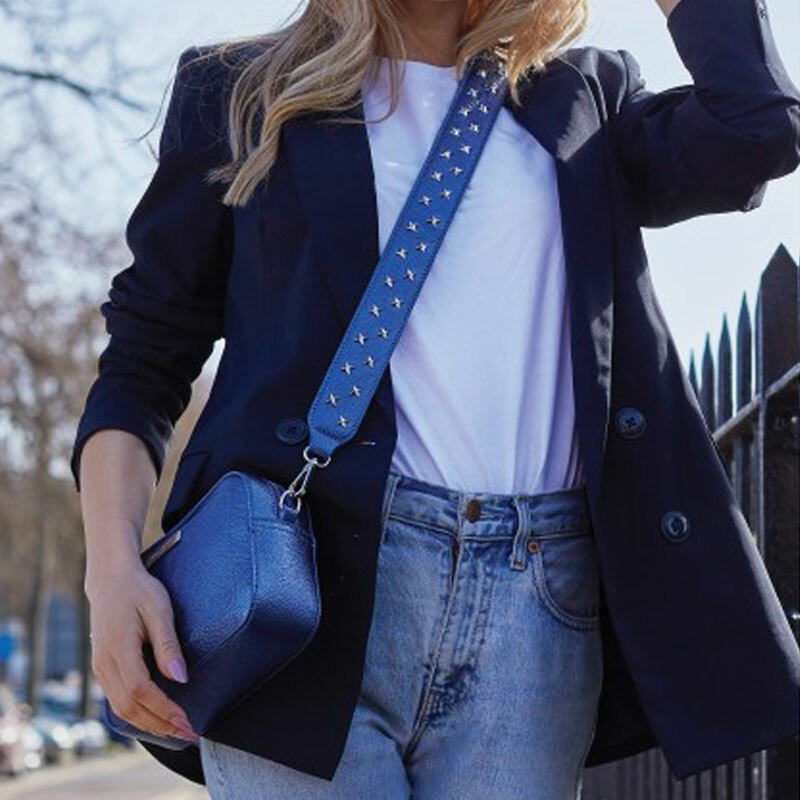 The perfect sparkly statement for winter! 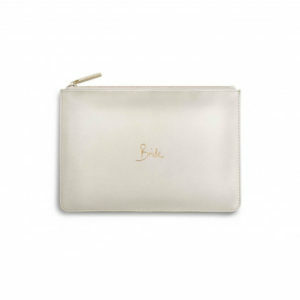 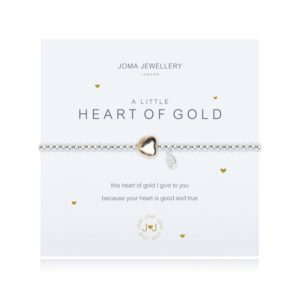 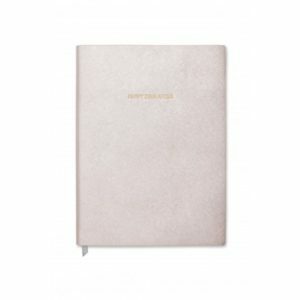 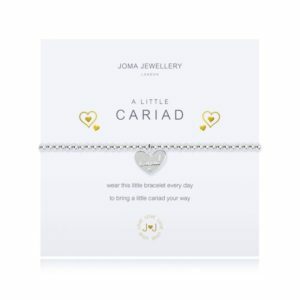 Categories: Accessories, Bags & Purses, Cross Body Bags, Gifts For Her, Katie Loxton, Pouches.